Did you know that Chickering Elementary School has been running the program known as Fit & Lit for eleven years? Fit & Lit encourages kids to read and exercise more by rewarding every log filled out with a new charm for their necklace. Each student receives a necklace in kindergarten. Some fifth graders have up to 100 charms! This year, at the kick-off Fit and Lit assembly, it was announced that there would be two teams. Team 1 consisted of grades 1, 3, and 5. Team 2 was Pre-K, K, 2nd grade and 4th grade. Instead of having the teams travel from the Earth to the moon, the teams were asked to circumnavigate the Earth. However, the school also had fun at the assembly because of the fit and the lit they did there. Based on a video, 4th and 5th graders led a version of Watch Me (Whip/Nae Nae) with incorporated exercises. Some other students also read silly poems to the school. We created a survey for 3rd, 4th and 5th graders wondering what their opinions were about Fit and Lit. 35% responded. 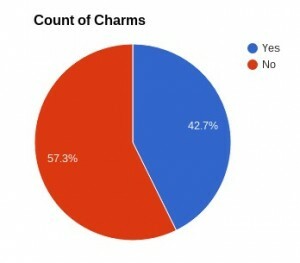 When asked if they participated in this event, a large quantity of the 35% said yes, most of which included that they like it because they received charms. However, when interviewed about their suggestions for Fit and Lit, many said that the teams were not fair, and that charms need to be easier to obtain. We also inquired if they liked Fit and Lit, and the majority said yes, but a surprisingly large number said “50/50”. Nevertheless, they had many suggestions, including some that would help kids. Such as, “Make it more motivating for the fifth graders” and “Reduce the amount of minutes to earn charms for many children it takes two or more weeks to earn a charm”. Although the purpose of Fit and Lit was to read and exercise, there was still a little competition between the teams. Team 1 ended up with 29.4 times around the Earth, and Team 2 finished with 29.1. It was a close race, but Team 1 secured victory. There was an even more competitive atmosphere throughout the fifth grade, though. Whichever class in fifth grade ended up with the most minutes at the end of Fit and Lit got to play a kickball game against the staff team. Finally, when this fun Chickering tradition concluded, Mrs. Chiavarini’s class ended up victorious in the fifth grade competition. After looking at every opinion from our surveys, it was clear that almost every interviewee loved Fit and Lit, and made it known that this Chickering custom is fun for all. Even though we did not have a concluding assembly to announce the winners, there was an exciting celebration to wrap Fit and Lit up – the annual Read Your Heart Out Day! 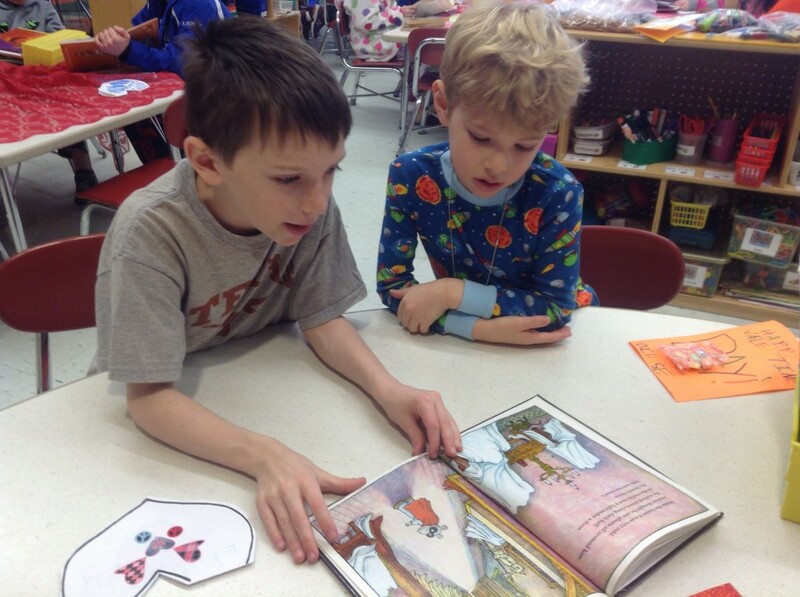 After donning their pajamas and snuggling in fluffy blankets with soft stuffed animals, every student in the school set off on a fun reading mission. So from beginning to end, Fit and Lit was certainly a success! Do you love to read? Then you’ll love our Read Your Heart Out Day [RYHOD]. 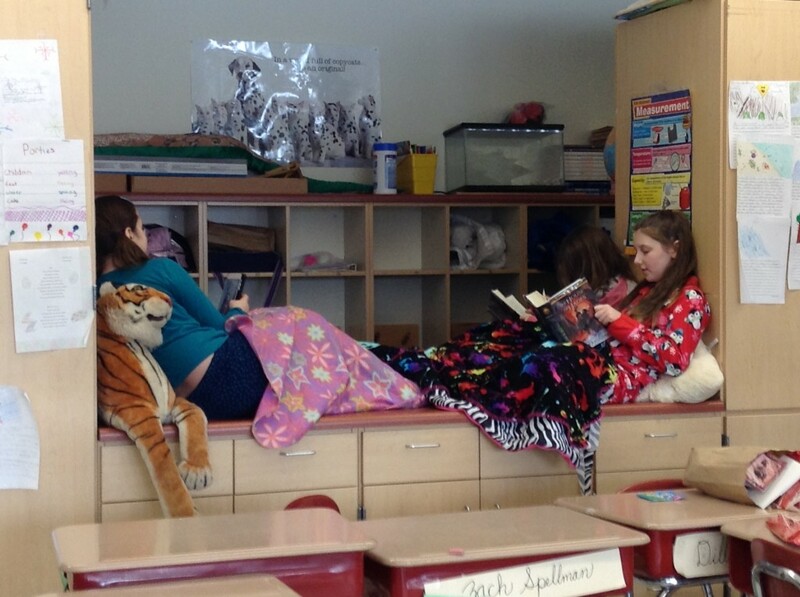 Students prepare for RYHOD by gathering their stuffed animals, books, pj’s, blanket and a pillow. Then they put their gear in his or her backpack or another bag. You can pack or wear your pj’s and slippers. It’s winter, so we pack our slippers. At school, in your classroom you claim your spot. That’s where you put all your items. You don’t stay there all day, but that is where you read your books or read with friends. Some of the other classrooms move furniture to make room for tents or canopies where students can read, play games and have fun. 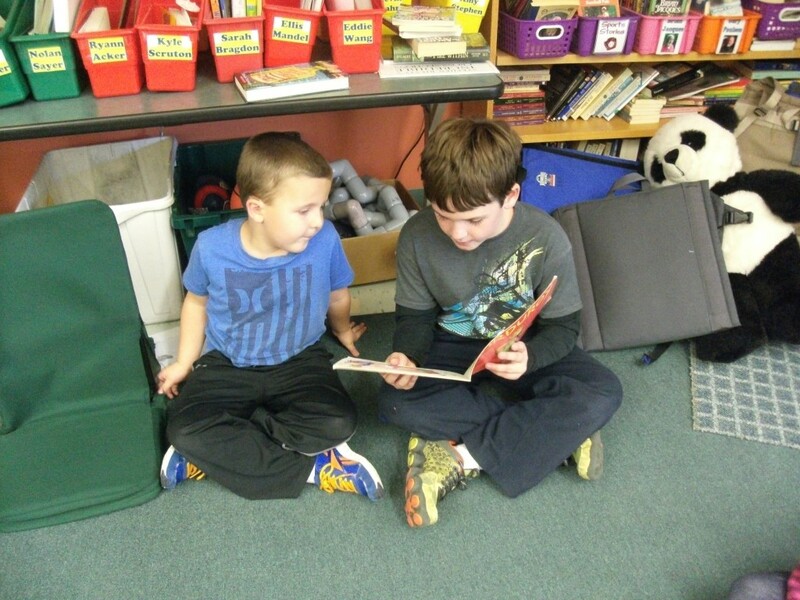 Some classrooms have book buddies, so they meet in another classroom and read to each other. We also have parents or other adults who come in and read to us or we read to them. We wondered what the teachers thought about RYHOD. So we talked with Ms Wood, a third grade teacher, Mrs. Atkinson, a fourth grade teacher and Mr.Wadness, a fifth grade teacher. We were curious to know if they liked RYHOD and they all like this special day. Ms Wood shared, she likes that we celebrate reading as a school community, and one of her students claims “reading makes your brain grow bigger”. She also thinks it’s a day to keep our brains healthy and active. Mr. Wadness said that he likes it when parents come in and read. 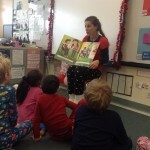 All like that students can hang out with friends and read and share good stories. All the teachers explained some activities their students do on this day. 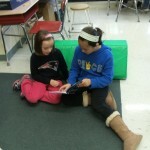 Students read independently, buddies read with a younger class, and partner read. Some other activities are sharing their favorite books with classmates, creating crafts which use words and having guests/parents come in and read aloud. Their favorite activities are having people read aloud and sharing books with younger students in the school. There are a lot of different genre and we wondered if they had a favorite. Mrs. Atkinson and Mr. Wadness both love fantasy, Mr. Wadness especially likes the Lord of the Rings trilogy. Ms Wood likes all genre. We wondered what type of book format that the teachers like to read. Mrs. Atkinson, Mr. Wadness and Ms Wood all agreed that they all like paperback because it is easy to hold and they like to feel a book in their hand. Mr. Wadness does not like hardcover because he thinks it’s too big. Ms Wood and Mrs. Atkinson also likes electronic devices because it’s easy to turn pages and it saves their spot. Ms Wood also likes digital devices because she can download a book on the App Store and just lie in bed and start reading. We were interested to know what some fourth and fifth grade students liked about RYHOD. They all agreed, they love it. 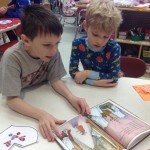 Several talked about how they have a time to read books they like. A couple said it feels like a day off from school, because you get to relax and hang with your friends. 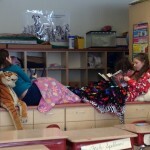 Stuffed animals, blankets, pillows and lots of books are what students shared they bring with them. 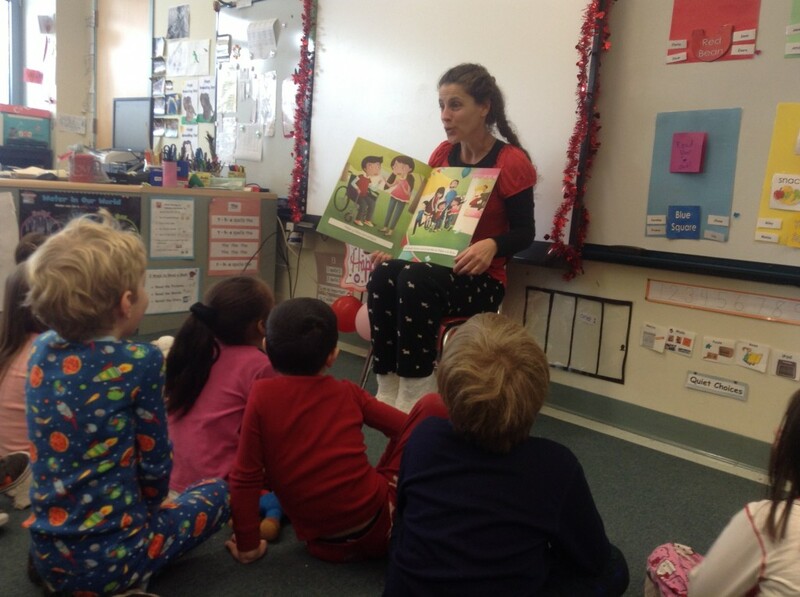 Wearing pajamas and slippers is a cool thing to be allowed to do at school. These fourth and fifth grade students have enjoyed RYHOD since kindergarten. 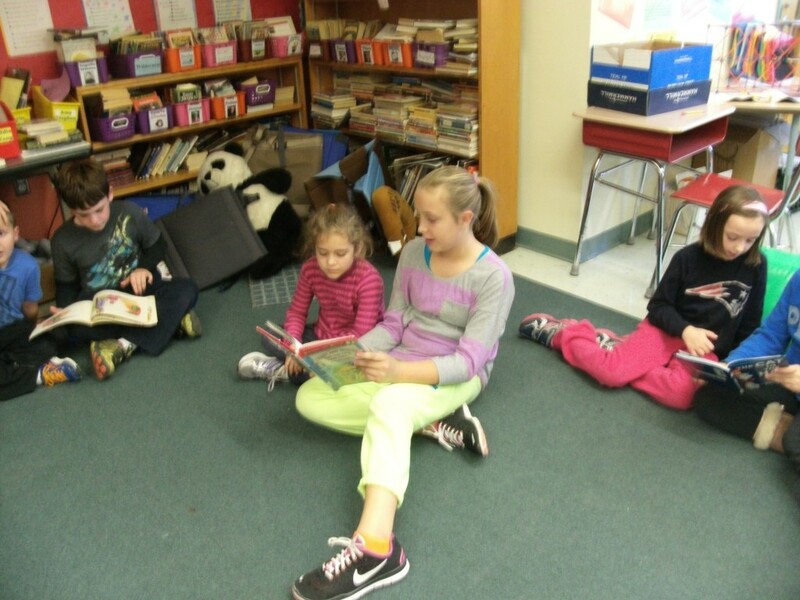 Reading was the favorite activity for all of the fourth and fifth graders we talked too. 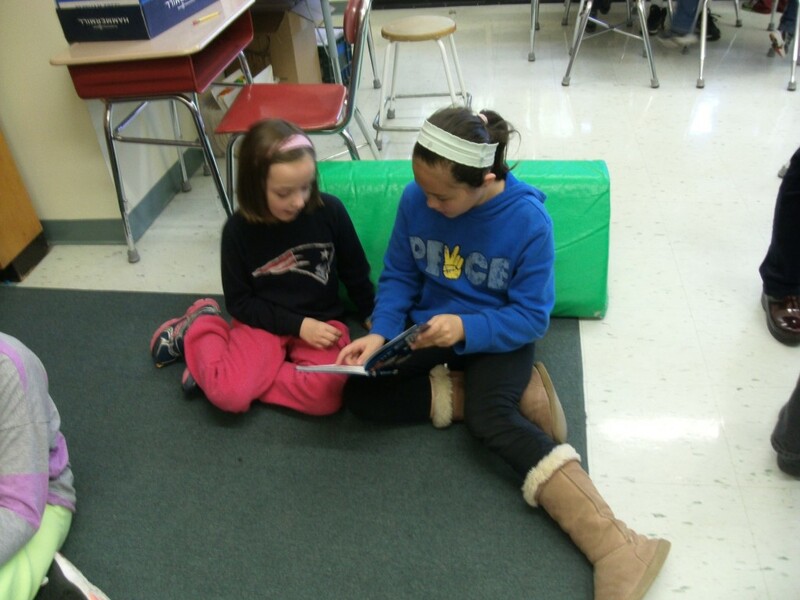 One fourth grader really liked reading with their kindergarten buddies. 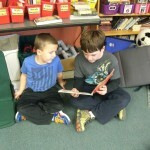 Some other activities they liked to do are reading by yourself, with friends, and with younger reading buddies. Others shared they make games based on books read, and when it happens to fall on Valentine’s Day, they enjoy creating valentines for their classmates. Adventure seems to be a favorite genre of the kids. They like mystery because of the suspense and fantasy for the magic and wizards. Books come in all different formats: paperback, hardcover, audio, digital, so we wondered if they had a favorite. Most like digital but pretty much all of them like print. On Read Your Heart Out Day, you can hear kids and teachers laughing and talking excitedly as they arrived at school. The energized students quickly claim their spots in their classroom. Then, you can hear a pin drop … everybody’s reading! It’s definitely one of the best days of the school year for both the students and teachers.